This Barbecue Sauce Recipe is fabulous! Whatever you wish to grill or barbecue, this sauce recipe is what you need to please your palate. The restaurant recipe was developed by me and one of my chefs a number of years ago and has been a favorite restaurant recipe ever since. I even have restaurant guests who request to buy it in bulk for use at home. Now they, and you, can make this favorite restaurant recipe at home! Preparation time: 10-12 minutes. Makes one quart. *To thin the sauce, use any of the following: water, beef or chicken stock, white or cider vinegar, apple juice, wine or beer. *To thicken the sauce, mix 1/4 cup cold water or other liquid (above) with 2 tablespoons cornstarch and add to sauce a little at a time until you have achieved the correct consistency. 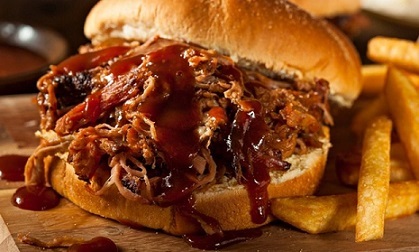 Note: a couple tablespoons of bourbon or whiskey make a fine flavor enhancement to this BBQ sauce recipe if you wish. Enjoy your sauce recipe and the company of those you share it with. 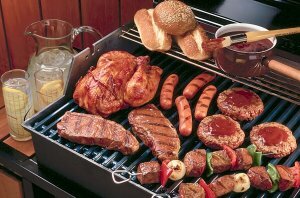 "That outdoor grilling is a manly pursuit has long been beyond question. 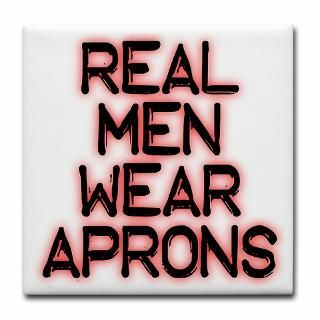 If this wasn't firmly understood, you'd never get grown men to put on those aprons with pictures of dancing wienies and things on the front..."